For the past month, I have been on a long road trip driving highways in Kentucky, Indiana, Ohio, Pennsylvania, Michigan, and western New York. The long distances of highways are tunnels of green with tall maples and soaring oaks on either side. The view is occasionally broken up by homesites of impressive farms with huge barns and fields of green. I’m looking for gardens along the way. After a winter dormancy and unpredictable spring weather, people here are ready to grow things. 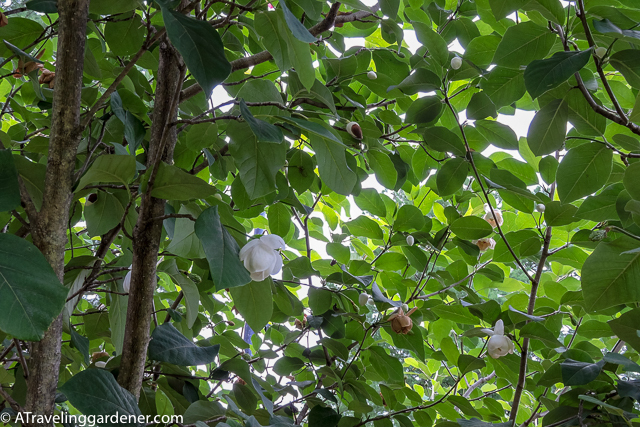 Botanical gardens have collections of annual flowers, perennials, meadows, shrubs, and allée of trees. There are vegetable gardens, herb gardens, and medicinal gardens, all important reminders of why we garden. Things grow so well in this area and mowing grand swaths of lawns regularly is necessary to keep things in check. But in all this earnest gardening I’m finding a lot of whimsy popping up in gardens. 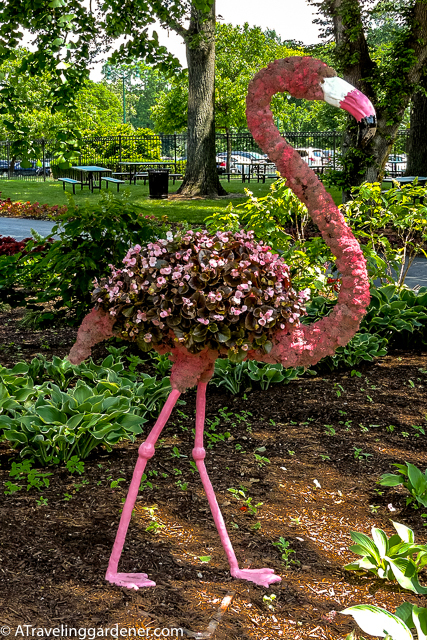 Creative minds find a way to celebrate summer and bring some fun to the flowers. 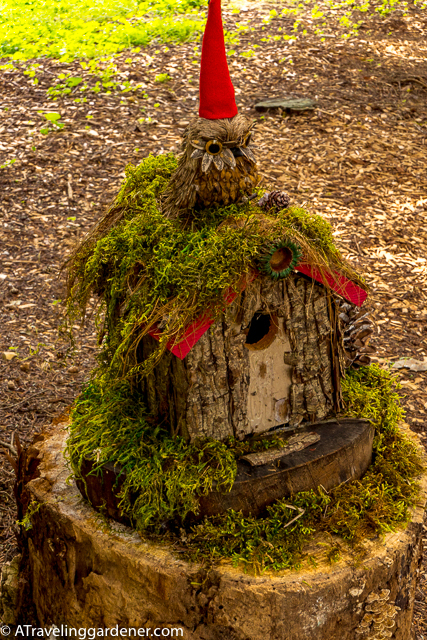 In the Yew Dell Garden near Louisville, KY there was a woodsy fairy village among a stand of trees. Here the forest debris is transformed into fantasy homes for gnomes and fairies who would obviously be happy to live here. Timber slabs make foundations, log splits, pine cones (of all sizes), twigs, moss, acorns, seeds, dried blooms, and vines are used to create architectural wonders. 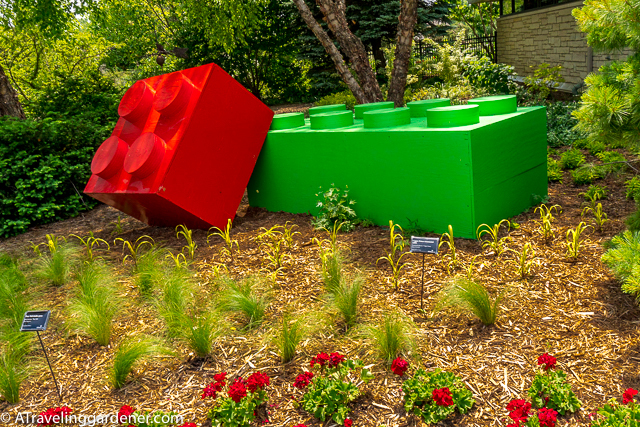 In Franklin Park & Botanical Garden in Columbus, OH a new children’s garden opened this summer. The day we visited there were children playing everywhere. Little ones ran through a willow arch and came eye to eye with a topiary Cardinal. a pot of gold sedum stands at the end of the rainbow. The garden is filled with interactive activities and action was all around. 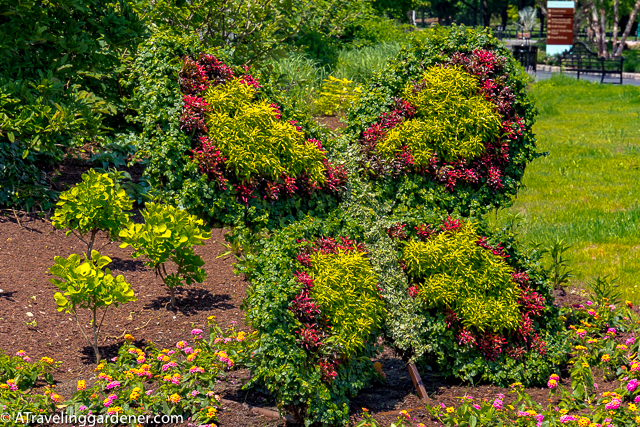 As I walked in, a mother was attempting to move her two little ones toward the exit but as the reluctant 5 yr. old said, “there is still so much to see.” On the way out large topiary butterflies caught her attention. 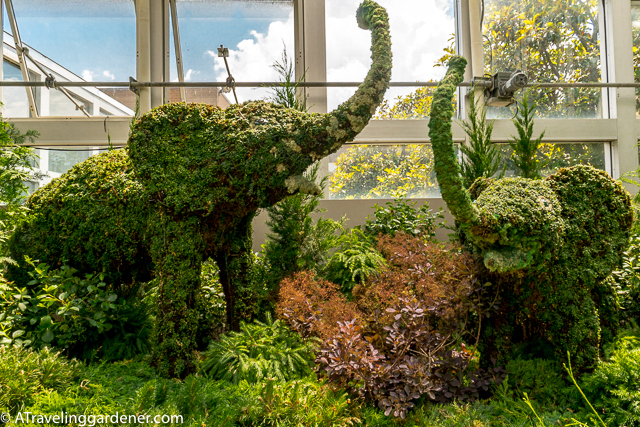 Walking thru the Victorian style conservatory with the specialized plant collections a bit more whimsy appeared. There were elephants, guerrillas, and dolphins strategically placed among the plants. But the true star of the summer fun was a flock of 75 flamingos walking in blue dwarf morning glories creating a watery sea. 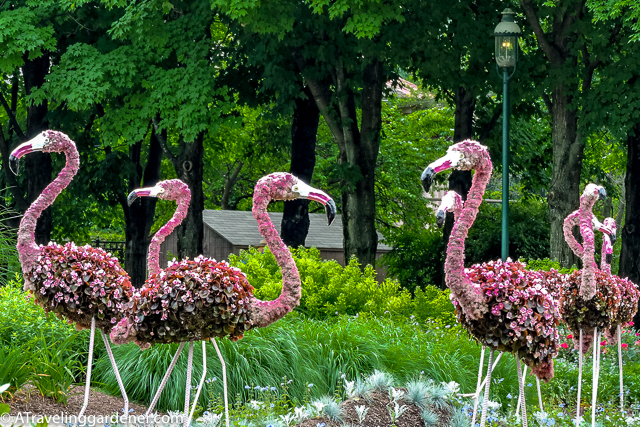 The flamingos’ legs are made of steel rebar, the body of feathers is pink begonias, colored moss covers the neck and for the face a proper flamingo mask. All were posed with legs walking, lifted, or tucked in the mass grouping designed to bring a smile to all who pass by. 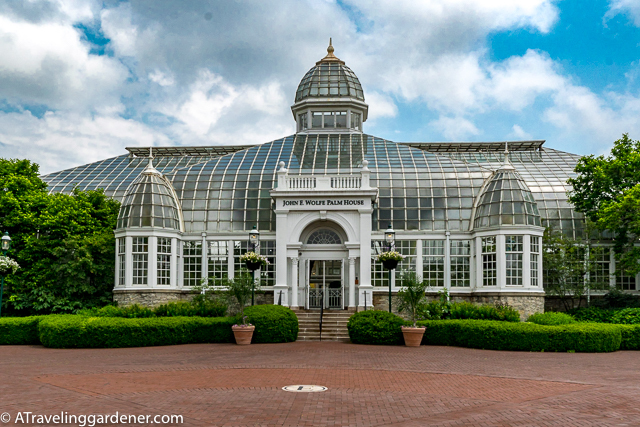 Further on down the road, I arrived at the Phipps Conservatory in Pittsburg, known for its creative floral displays. 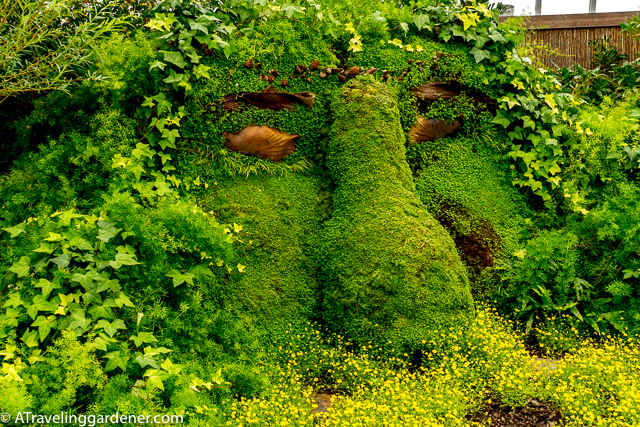 Here there was more fun with two giants coming out of the ground, covered in creeping thyme and trailing ivy with a head of wild hair foxtail asparagus fern and eyes made from dried palm inflorescence & seeds, the eyelashes from lilyturf. 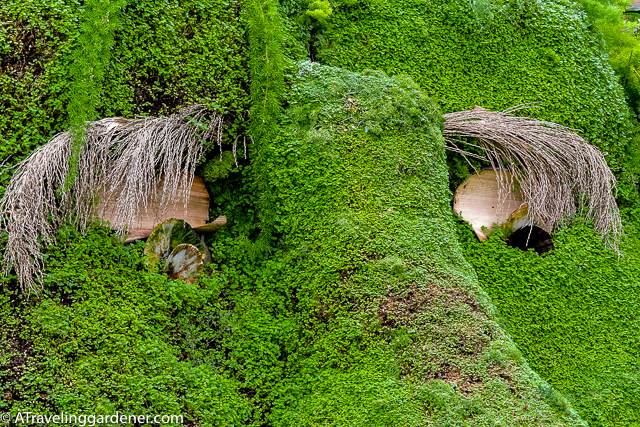 The massive hand flexed green fingers with fingernails made from dry palms fronds. 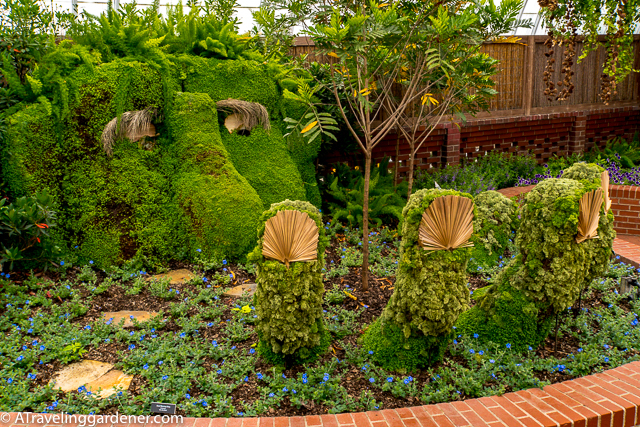 It is amazing how creative plant artists can be. 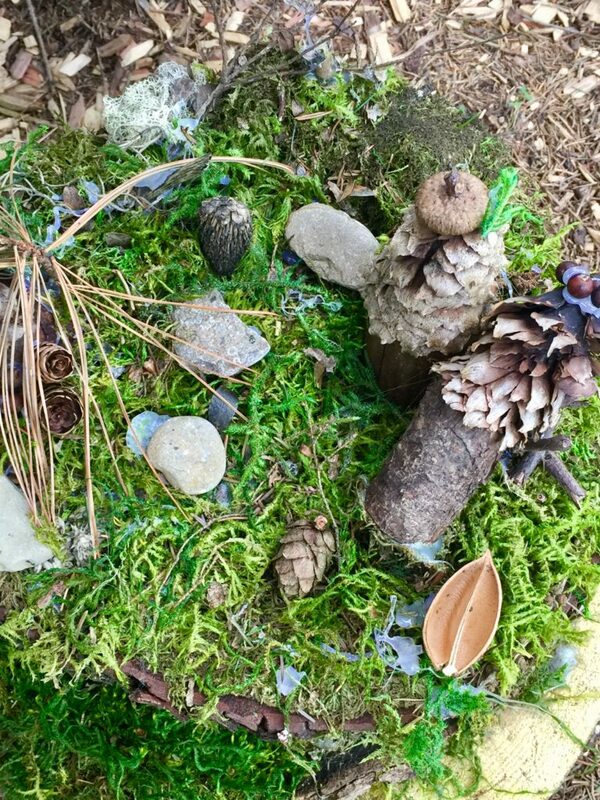 It is also what makes a gardener want to save all the detritus from our garden because we just might create something magical and fun for our own gardens. Each of these displays are only here for the summer season. 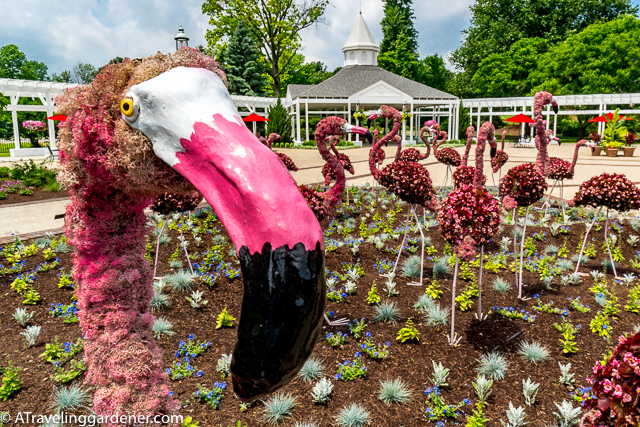 Just as we plant our annuals for the beauty of the summer, these creative gardeners create an artful display to be enjoyed for just now. Next year a new idea will emerge and the garden will change. 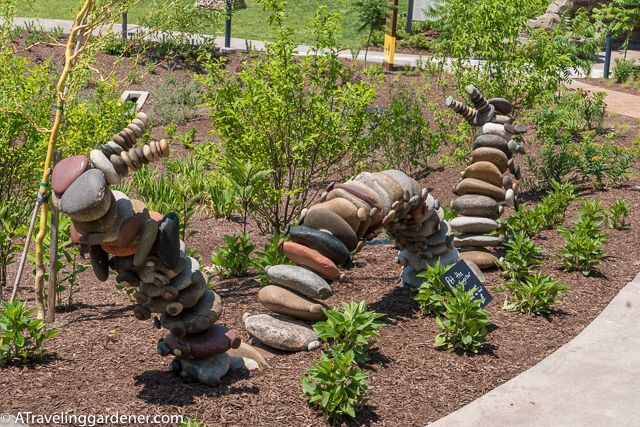 Yet for now, a touch of art makes a wander through the garden a great deal of fun. 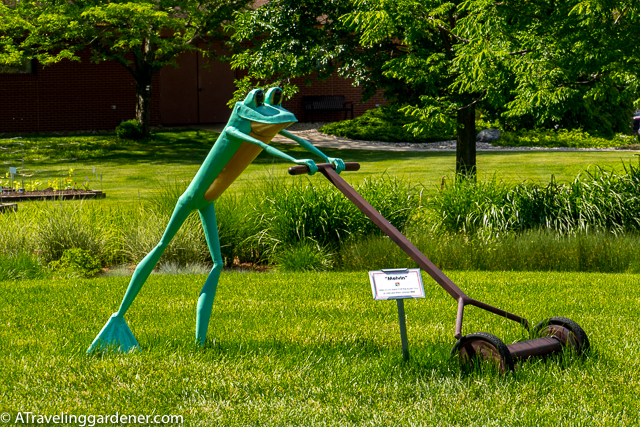 A Bit More Fun. . . .
After we left Michigan we went to the Green Bay Botanical Garden in Wisconsin. 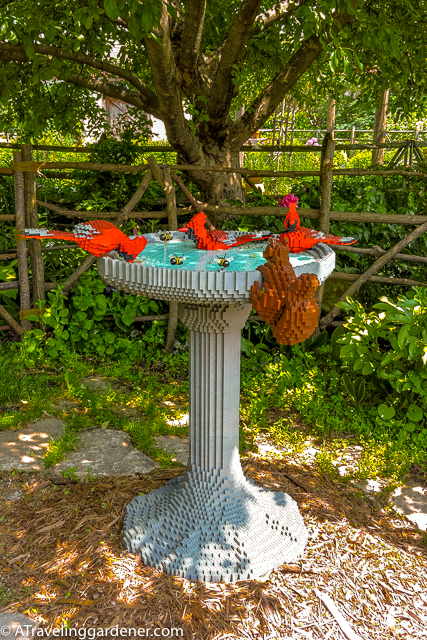 Here “Nature Connects®: Art with LEGO® Bricks by Sean Kenney” is on display w/ incredible garden element made from LEGOS. 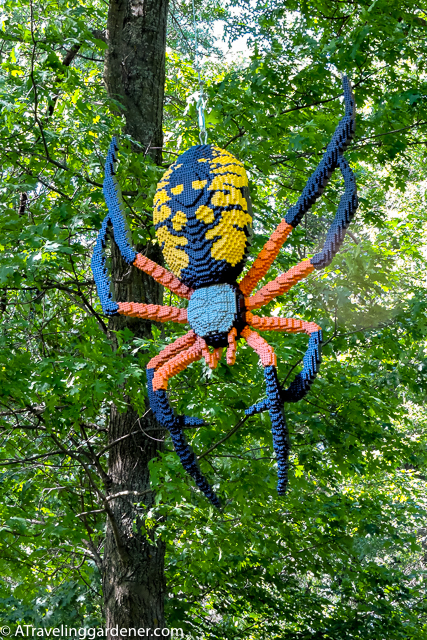 Sean is an artist, author, and self-proclaimed “professional kid”, who designs lego sculptures for clients all around the globe. 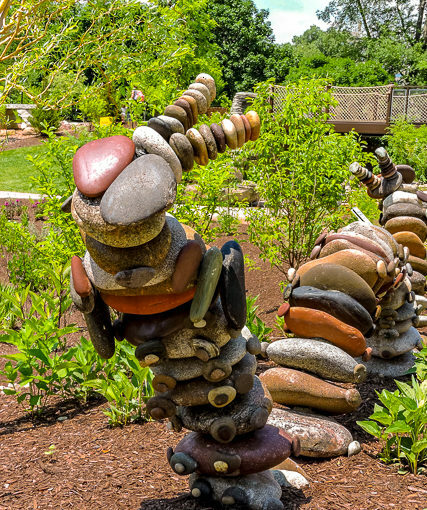 His nature show includes 12 sculptures and is on display in Green Bay through August 19, 2018. Here are just a few of my favorites. 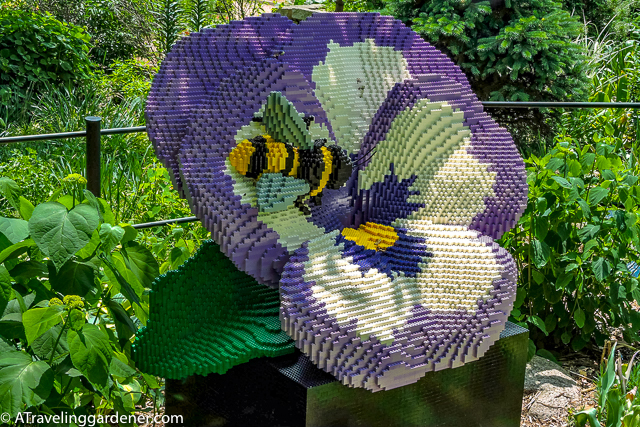 A detail of the pansy, it required 240 hours to build! Lovely, whimsical photographs. Thank you. 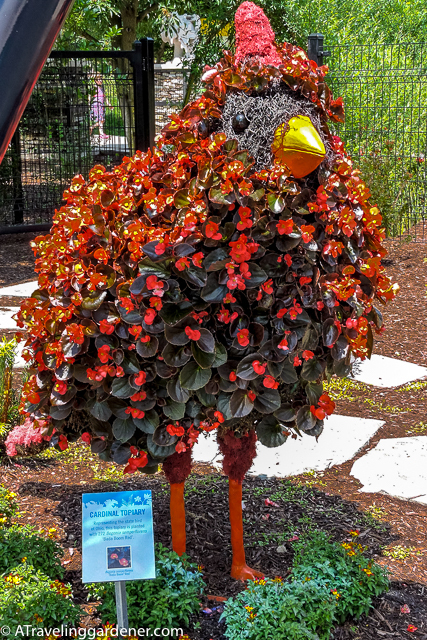 I enjoyed looking at these fun Artful additions to landscaping. Great photos. 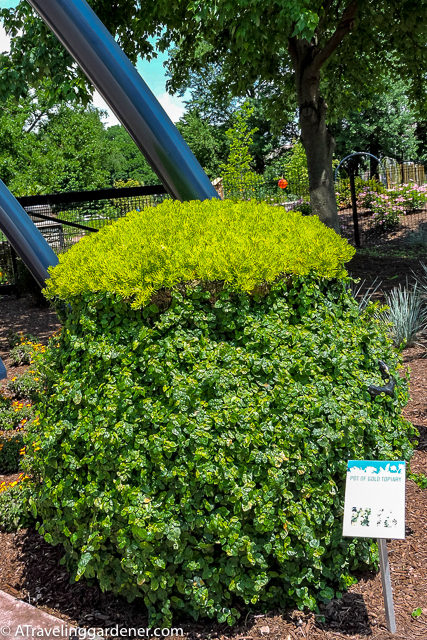 I also enjoyed seeing your photos of the lilac “bush” that towers over that 2 story house at the Lilac Festival! 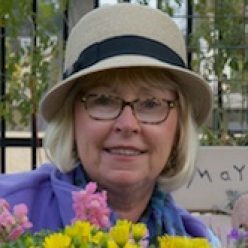 I can’t wait to have you speak to our Sun Lakes Garden Club on March 19, 2019! Enjoy your travels and keep sharing amazing photographs. 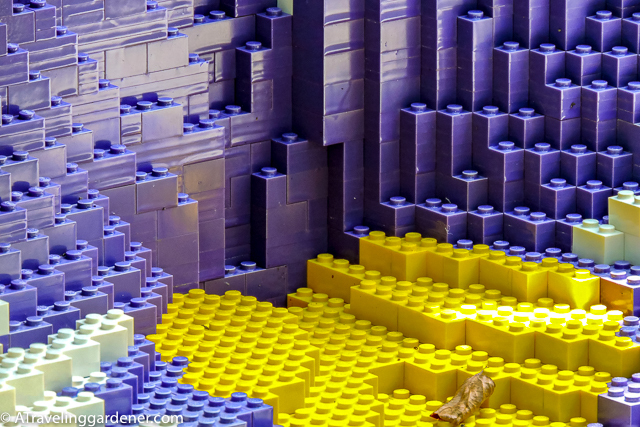 Nature is so creative in building things. People are also are interested in making intricate replicas of other natural things. I like the little fairy house. What fun! Loved seeing the lilacs. I sure enjoyed your delightful and creative garden surprises.